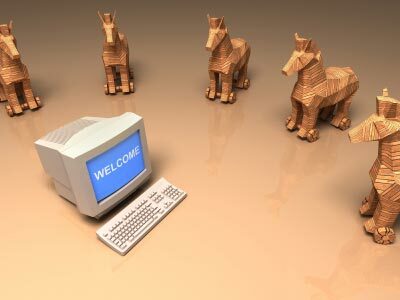 There’s been a lot of talk about how Apple’s iPad could potentially be a Trojan Horse to get into consumers’ living rooms. That comparison makes sense as big players such as Sony and Microsoft have tried to penetrate that huge market opportunity when everyone is talking about convergence but smaller companies such as TiVo have been significantly more successful. It is interesting, however, to think about how the iPad might become Apple’s stepping stone into the Enterprise Segment. Recently with the announcement of iPhone OS 4 Apple announced support for features as multitasking, folders, support for mobile device management, Exchange 2010 and SSL VPN. The iPad itself won’t be a game changer in the Enterprise Market, however, the ecosystem that the iPad will generate might become a huge force for future Apple devices. The iPad is designed to leverage the growing cloud computing solutions, as storage and performance are definitely not iPad’s competitive advantages. The device, simple to use, will get consumers more familiar and comfortable with storing valuable information in the cloud, which will eventually solve one of the major adoption barriers for cloud solutions in the enterprise market. Additionally, if Apple manages to build the cloud ecosystem around the iPad with the same intuitive and easy-to-use approach that characterized its devices such as the iPod, the iPhone and the iPad itself, it could leverage it by introducing devices specifically designed for enterprises. Furthermore, Apple won’t need to introduce new devices for this market (even though we all agree they are great) as they could profit from managing the ecosystem which will definitely be a less commoditized segment, giving startups opportunities to fill in the gaps. It is still to be seen how Apple builds the ecosystem to support the iPad and if it will succeed with its closed standard approach as it did with iTunes. I foresee great opportunities for smaller dynamic startups anticipating this wave and developing applications and devices to leverage Apple’s marketing efforts.